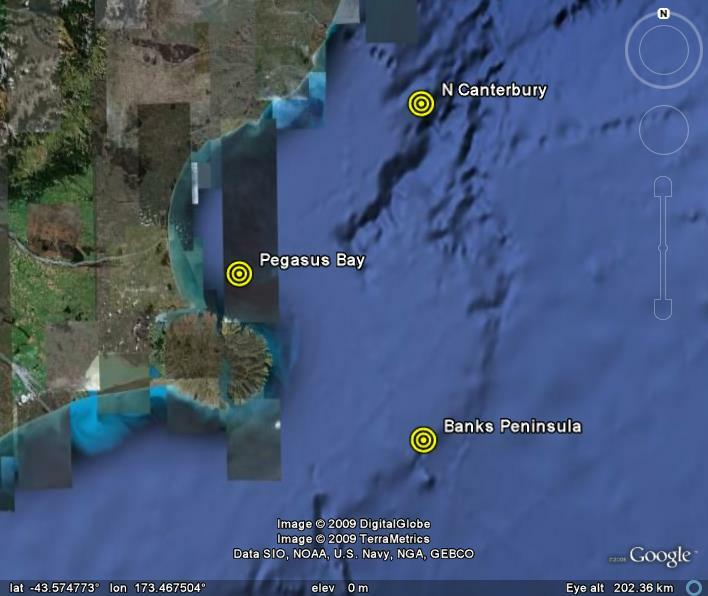 The map below is the North Canterbury offshore region, showing three of the nodes of the NWW3 model. If you click close to the nodes, you will get the wave forecast for that node for the next 7.5 days. There is information about the model in those links.